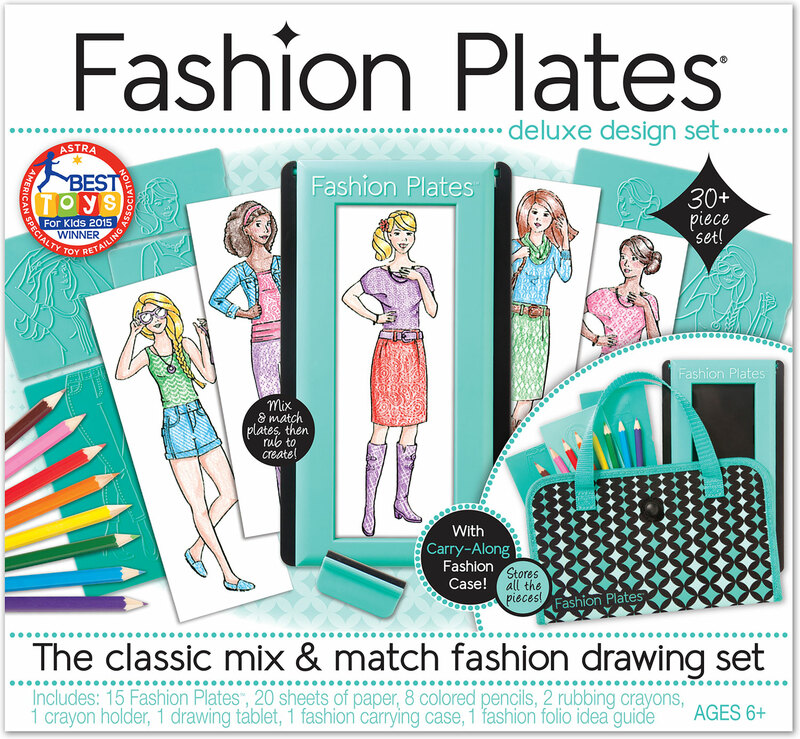 The classic mix and match fashion drawing set is back and better than ever! 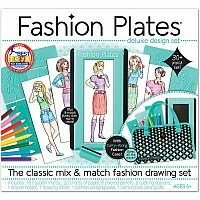 The new Fashion Plates deluxe design set makes it easy and fun for aspiring designers to create their own fabulous fashion designs. 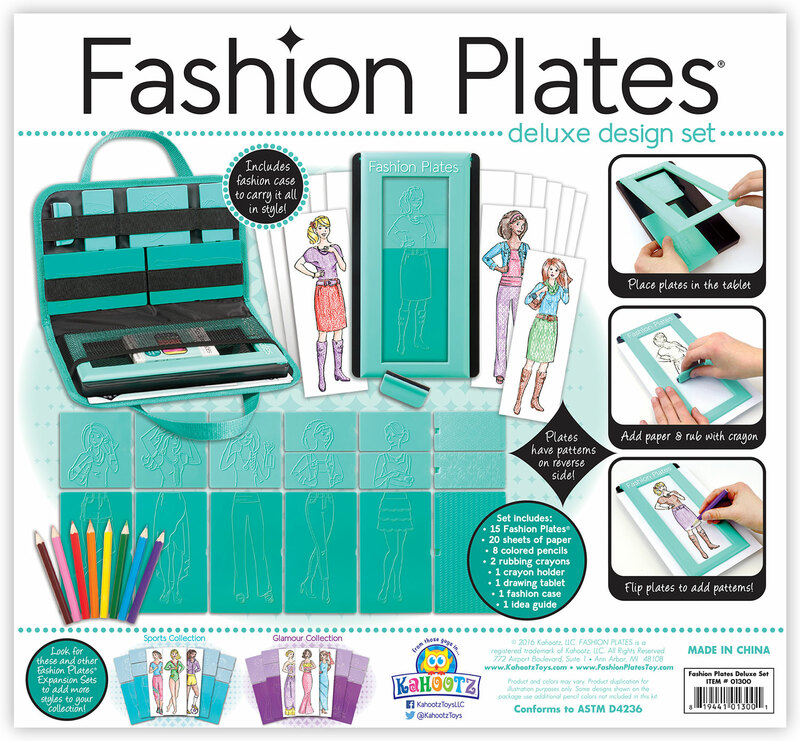 Create one-of-a-kind looks by combining the different rubbing plates together into the Fashion Plates tablet. 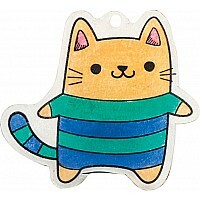 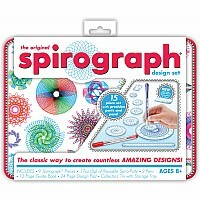 With just a few passes of the rubbing tool, your design transfers to your sketch paper. 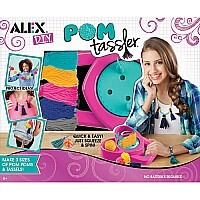 Adding colors and detail to your new look is a snap with the included artist's pencils and the fashion textures built into the back of each Fashion Plate. 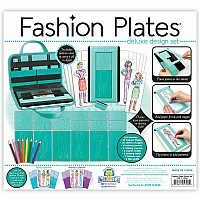 The stylish portfolio case neatly stores your tablet, plates and tools making it easy to take your designs and fashions on the go!